The Comfort Suites hotel in Hartville, Ohio is located next door to the Hartville Marketplace and Flea Market, Hartville Kitchen and Collectibles and Hartville Hardware. Nearby attractions include the Pro Football Hall of Fame, Firestone Country Club, Bridgestone Golf Invitational, Akron Soap Box Derby and Akron Canton Airport. Our hotel is located 15 minutes away from Akron and Canton. Free breakfast, indoor pool, hot tub, fitness room, business center and laundry room provided. 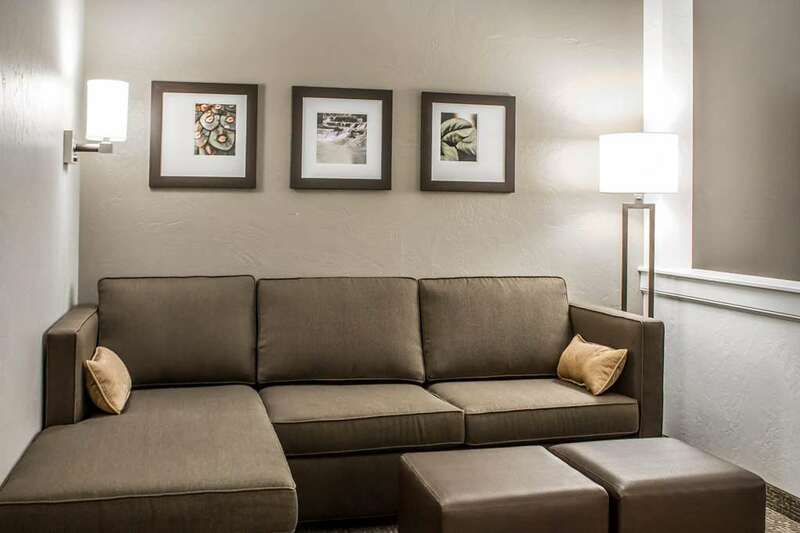 Suites include a living room with pull out sofa, microwave, refrigerator, coffee maker and incredibly comfortable beds. Earn rewards with every stay with our Choice Privileges Rewards program.